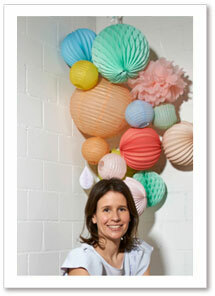 Congrats (again and again) to the amazing team of Nabie dit Oui for this décor to die for. 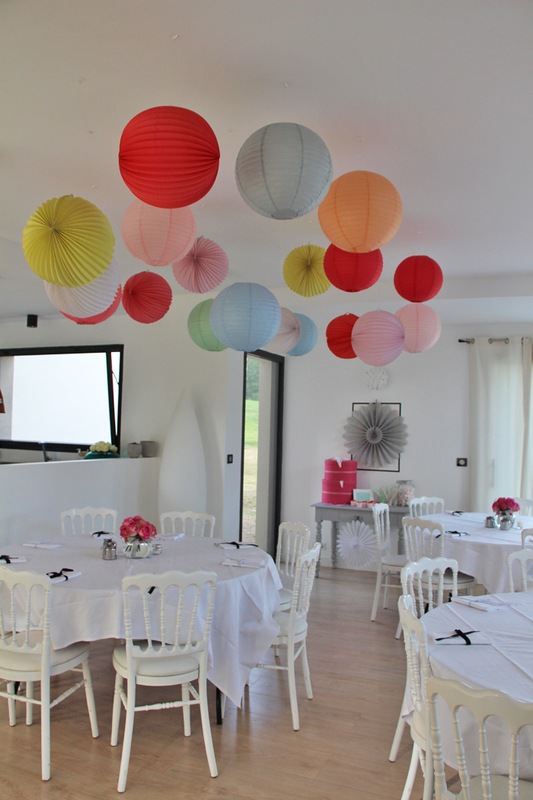 Come and get your wedding paper lanterns in our shop ! Now this is what we call wild! These perfect pastels paired with the elements of the outdoors is just enough nature for us. Work with what Mother Nature gave you! 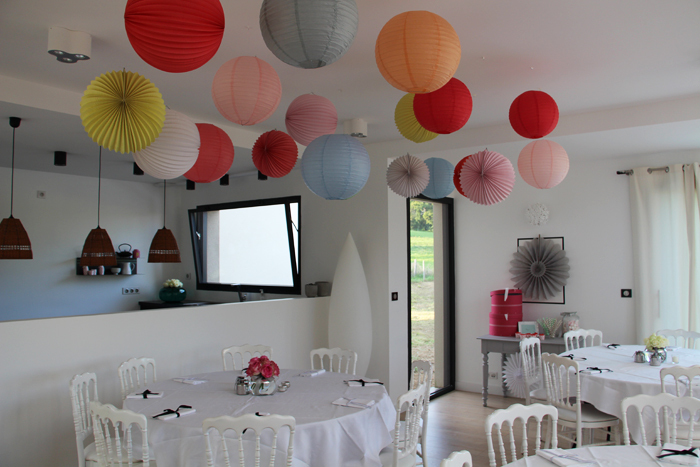 All our paper lanterns are available in the boutique ! 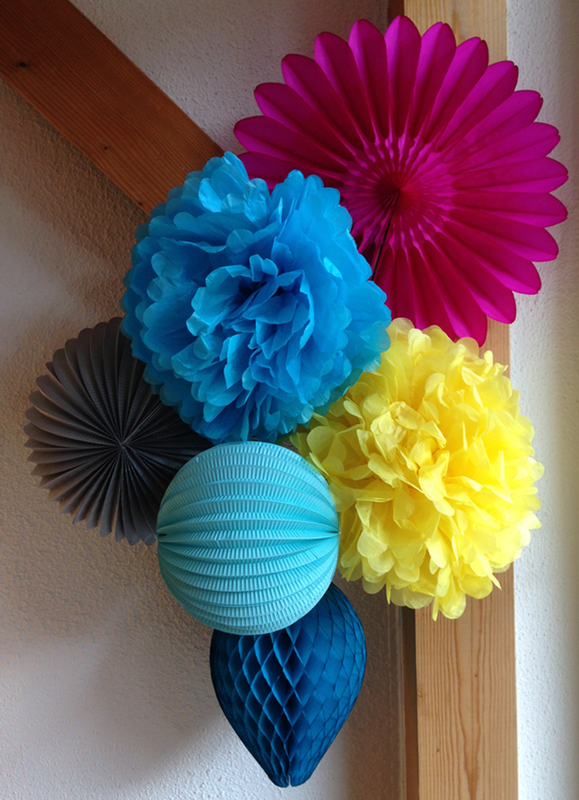 It is amazing what you can do with just a few pops of color and the contrast of fun shapes. 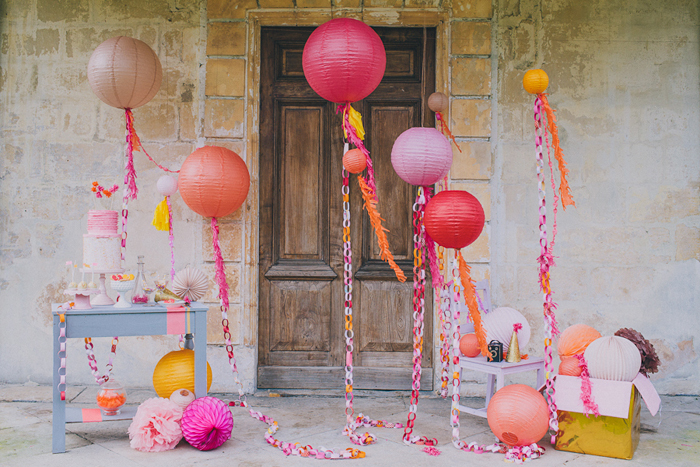 Here we have a few paper fans (velvety grey, super pink and powder pink shades), accordion paper lanterns (blush), some honeycomb balls (here is frosted mint, oh yellow, and super pink), and a garland fan (frosted mint), you can create this super fun backdrop. 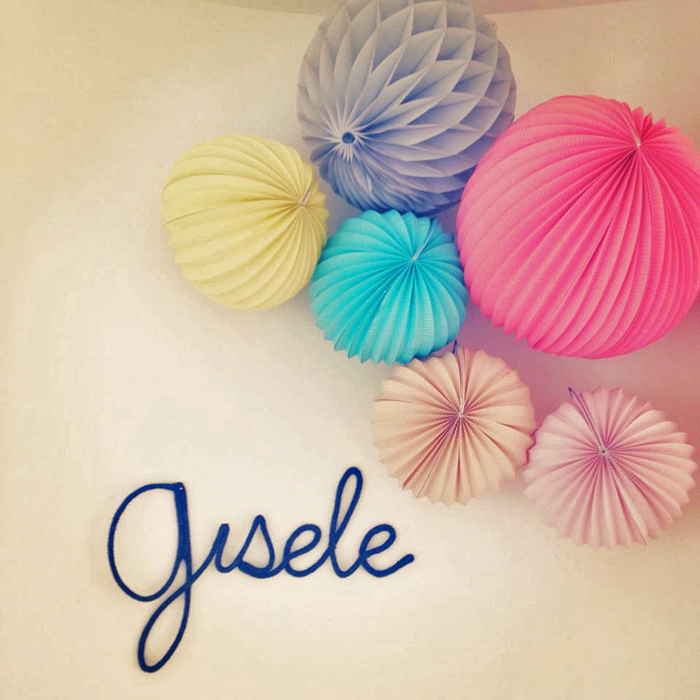 You can use the backdrop for a photo booth, to really make your “I dos” POP or any other fun occasion. Heck, leave it up as decoration afterwards! We like to use double sided tape and pins for hanging. 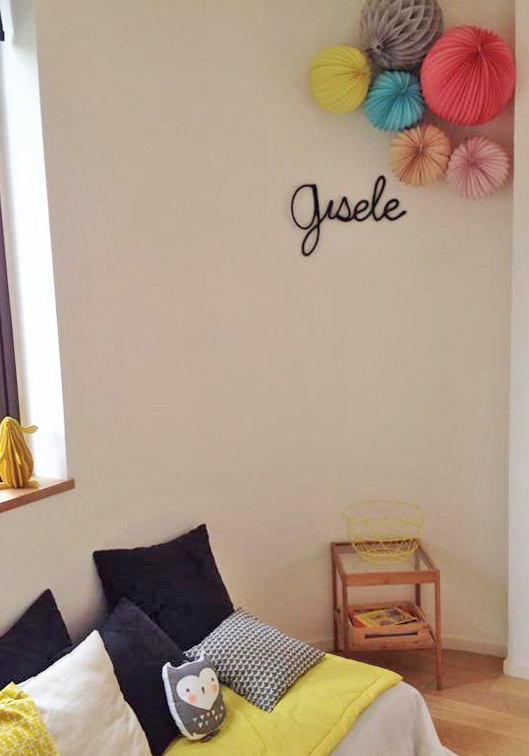 Easy to put up on the wall and even easier coming down. Shop all products in our store ! Is that even possible? We think so! Its amazing what color can do. 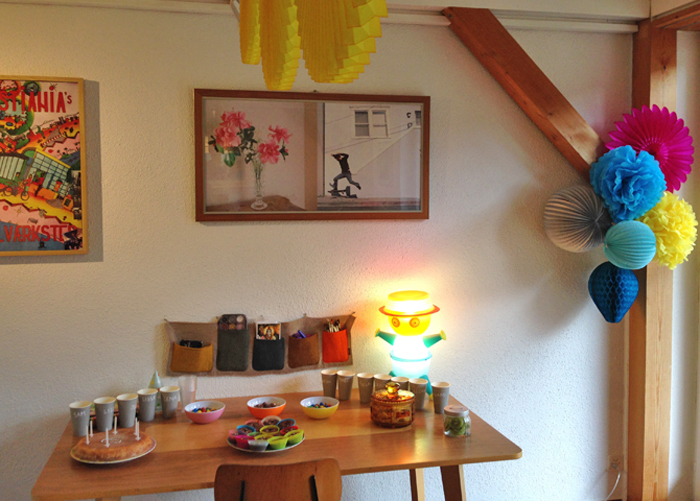 We think adding a little cake and party hats will go just fine with our decorations. What do you think? Today is all about happy and zesty colors, for a delicious and joyful party! 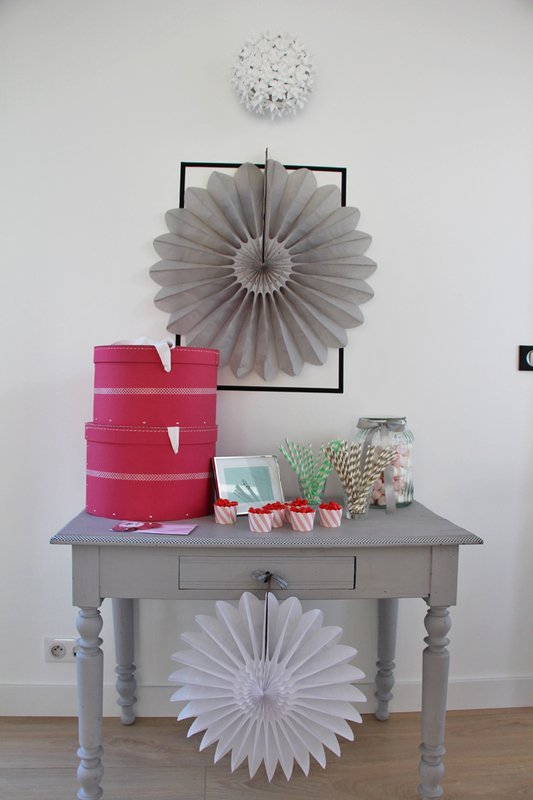 A sugary birthday bash, fun and creative, put together by the great Virginie ( 1,2,3, nous irons design event). Comments Off on Happy Birthday Made Even Happier!